As winter slowly lets go and, fingers crossed, we continue to head towards spring’s warmer weather. The desire to start hitting the outdoors for exercise becomes more prominent. One of the easiest outdoor activities to get in shape is to go out for a walk, jog, or run. Although there are a significant number of gadgets out there to purchase to enhance your run the only essential piece of equipment is the running shoe. But before you pull those shoes out of the closet, lace ‘em up and go; you should look to see if they need to be replaced. The first is pain. If you have started to notice some increased pain in your shins, on the bottom of your feet, or along the lateral aspect of your hip or knee, in either leg, chances are you may have lost some cushioning. 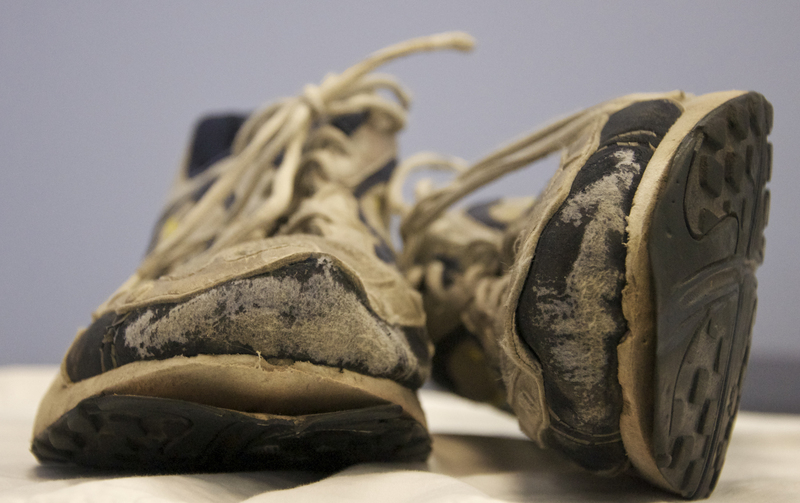 Give yourself a week of running and if the symptoms don’t improve you should look for a new pair. Another is the midsole. The midsole is the area between the shoe and the tread. If it looks crushed or you can easily compress it with your fingers chances are they need to be replaced, even if the tread looks fine. Finally, take a look at the bottom of your sneakers. Easily seen worn spots where there is no longer any tread would be another indication that it’s time to ditch those sneakers and grab another pair. 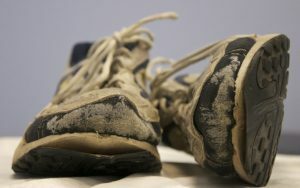 Here are a couple guidelines to extend the life of your good shoes: only wear them to run not as a cross trainer. Dry them out completely between runs. Rotate a 2nd pair of running shoes into your runs to decrease mileage on each. Change your running surface (trails/treadmills wear slower then roads). If you’re still not sure, give us a call, and one of our trained Physical Therapists can help you figure out if you need new shoes and if so point you in the correct direction for the proper shoe based on your running pattern and individual needs. Don’t forget you can donate your old shoes to a number of organizations that collect used running shoes, like Nike Reuse-a-shoe program, one world running, or donate locally.